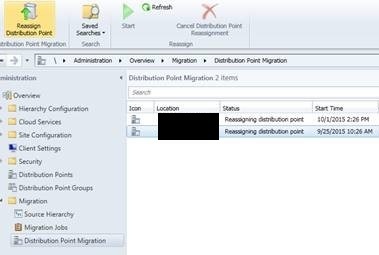 Recently when helping a customer migrate to ConfigMgr 2012 R2 SP1 + CU1, the site had major problems with fully completing DP upgrades. First, it would start the uninstall of a CM07 secondary site, then do nothing. So we would restart the process to which it reassigns the DP and then stalls again…but even worse, it never completed the process and it couldn’t be restarted again. So the status never came to a full completion and the old content (SMSPKG, PCK files, etc.) were not removed. Additionally, the state of the migration status never went beyond “Reassigning distribution point” as in the image below. And finally, set the DPUPgrade status where Action=2 and Status=0 for complete. The example below shows an incomplete “hung” state of a DP with Action=2 and Status=1. To get these statuses, the following SQL query was used so that we would know when the remote server had completed the uninstall of the secondary site and was ready to have a manual .dpu file dropped in distmgr.box to initiate the content conversion. First problem – a rerun the stored procedure did not occur after the uninstall of 2007 components. While this is still unsolved and would take ‘significant’ effort to diagnose the cause, PSS provided a query to identify if the site is ready for the content conversion by creating a dummy .dpu entry. Third problem – On a “completed” DP, files were leftover on the DP, both the PCK and extracted SMSPKG$ files. Since we did not migrate ALL packages that were on the 2007 DP into 2012, those files are left behind such that they still could be converted at some point if desired. Otherwise they need to be manually deleted after the conversion process completes. Then, any package that had a CM07 advertisement that is set to “run from server” will migrate over to CM12 with the option to “Copy content to a package share on DP” – meaning the files in the SMSPKG$ share will remain. These files should not be deleted from the SMSPKG$, but rather it would be better to change the package setting to not copy the contents (if appropriate for that package). 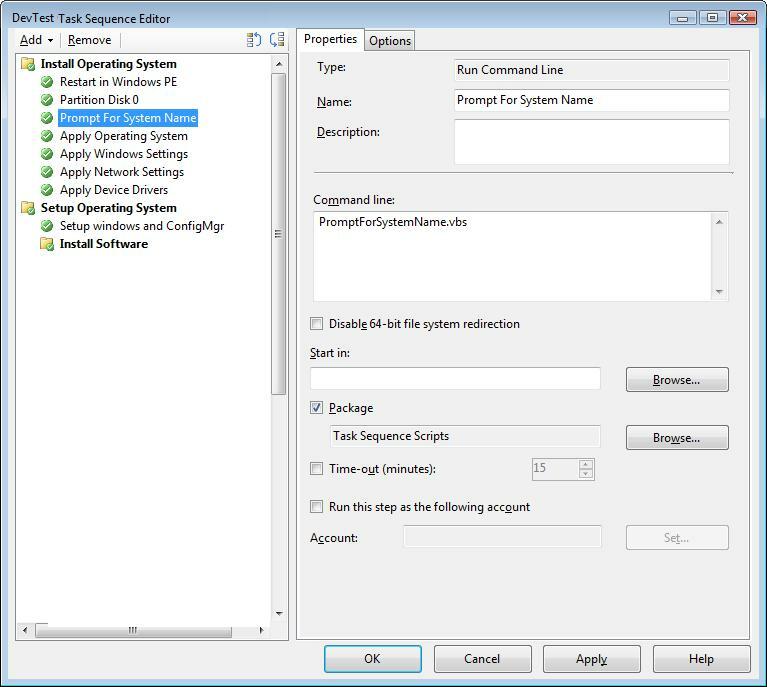 This entry was posted in ConfigMgr 12, Troubleshooting. Why update ConfigMgr clients after upgrades?